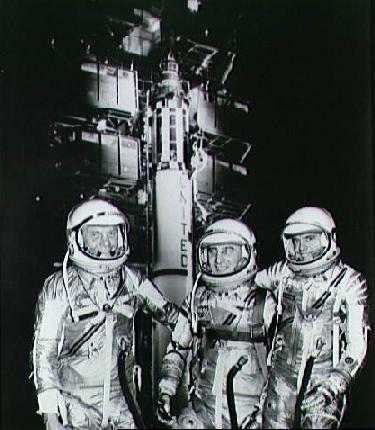 Explanation: Space suited project Mercury astronauts John H. Glenn, Virgil I. Grissom, and Alan B. Shepard Jr. (left to right) are pictured here posing in front of a Redstone rocket in this vintage 1961 NASA publicity photo. 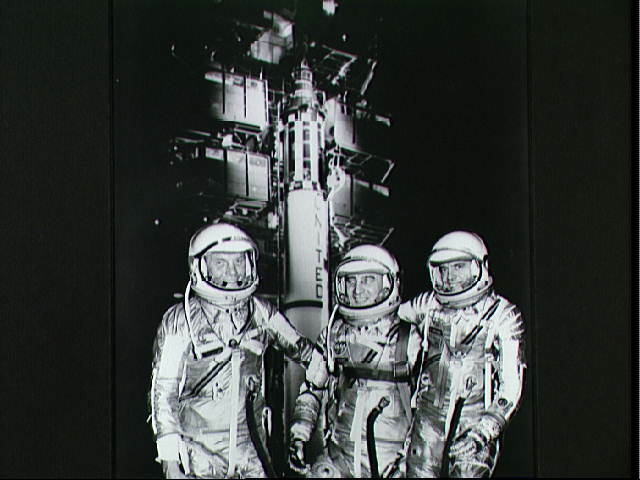 Project Mercury was the first U.S. program designed to put humans in space. It resulted in 6 flights using one-man capsules and Redstone and Atlas rockets. Shortly after the first U.S. manned flight on May 5, 1961, a suborbital flight piloted by Alan Shepard, President Kennedy announced the goal of a manned lunar landing by 1970. This goal was achieved by NASA's Apollo program and Shepard himself walked on the moon as commander of the Apollo 14 mission. Tomorrow's picture: GRB970228: What's There?